Red is without doubt a powerful and intense colour, said to physically stimulate raising the heart rate and blood pressure. 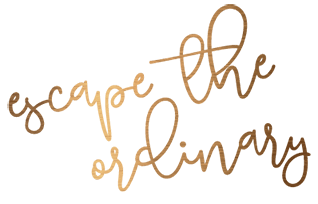 It has a diverse range of associations from sin to romance, power and danger and as such can evoke a variety of of emotions. Used well it can create energising, warm, spicy and sensual spaces, but get it wrong and it can be as disastrous as it can be fabulous. Choosing the right shade of Red and/or getting the balance correct is the key. 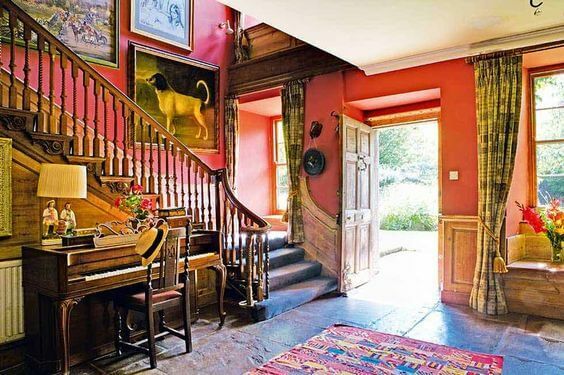 To help you pull it off, I’ve gathered together my favourite images of some fabulous Red interiors and noted my thoughts on how to get the best out of fabulous Red. 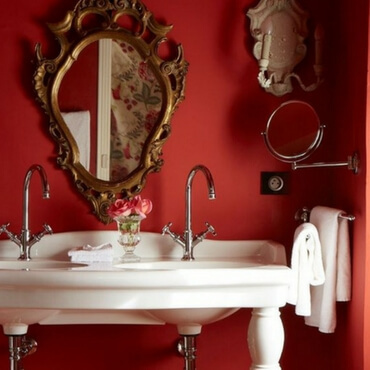 A rich and deep Red has been used in this classic bathroom. The teaming of a beautiful white basin and towels lift the colour, preventing it from becoming too dark and the antique mirrors add old world elegance. 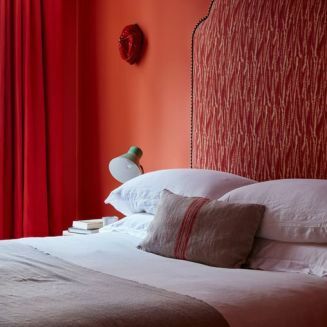 Combined here with Orange (Papaverby Paper and Paints) and balanced with simple neutral bed linens, Red creates a warm and spicy feel, just perfect for the Bedroom! 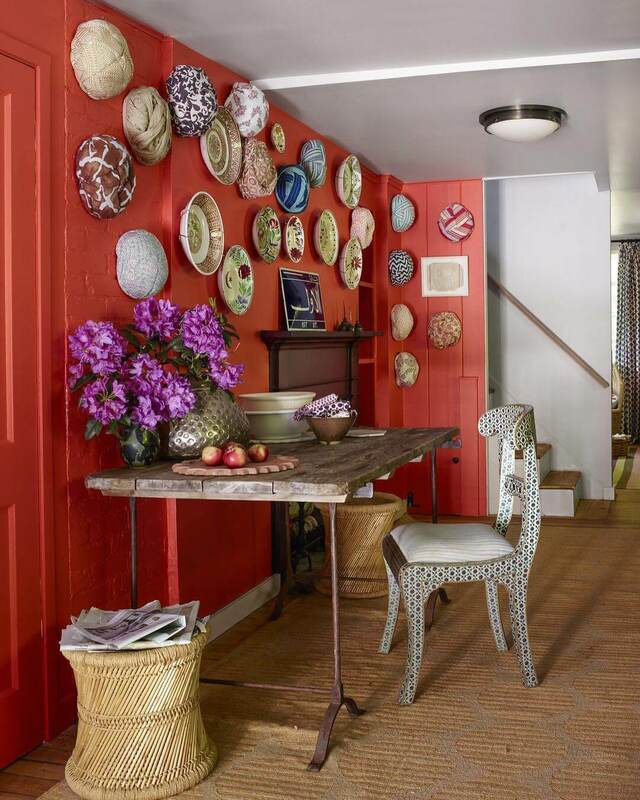 Warm Reds are often the best option for all over colour, but using this bright Red, on a feature wall has just the right impact to draw attention and add punch to this display of antique plates. Red doesn’t always need to create impact. 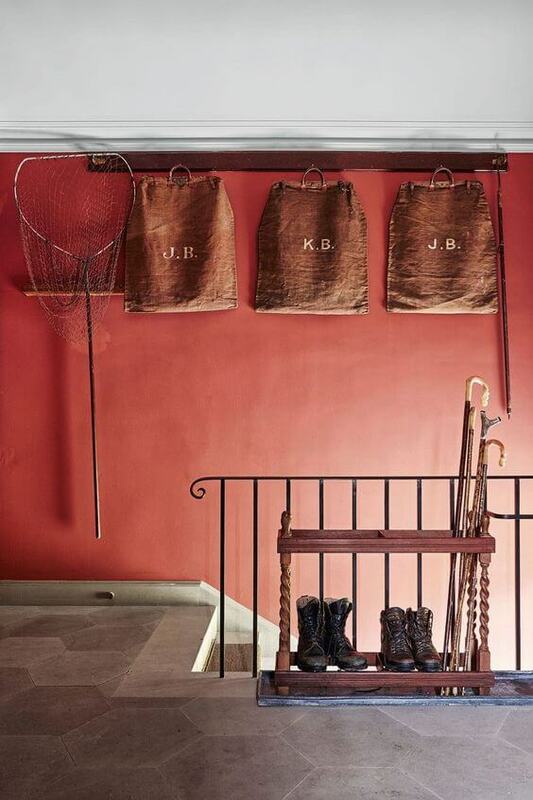 Here in this farmhouse hallway, this cheerful warm Red is friendly and inviting when mixed with pattern and used as the backdrop to family treasures. 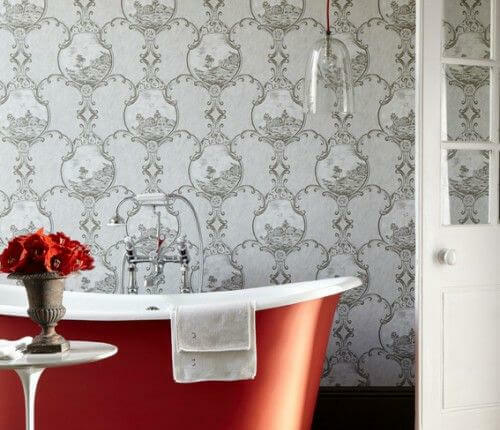 A bold and powerful Red is used to best effect to highlight a particular feature, as done here for this roll top bath painted in Atomic Red by Little Greene. 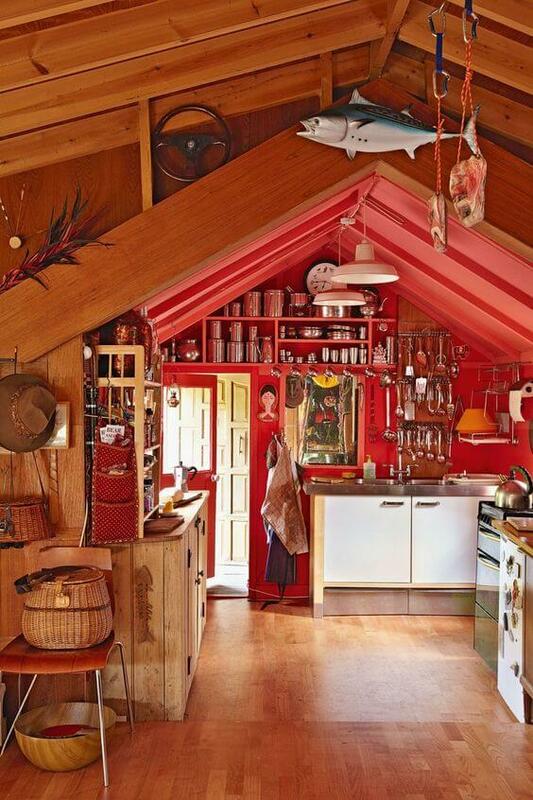 Using a vibrant Red on walls and ceilings in this cute cabin has created a distinct area and focus on a quirky corner. 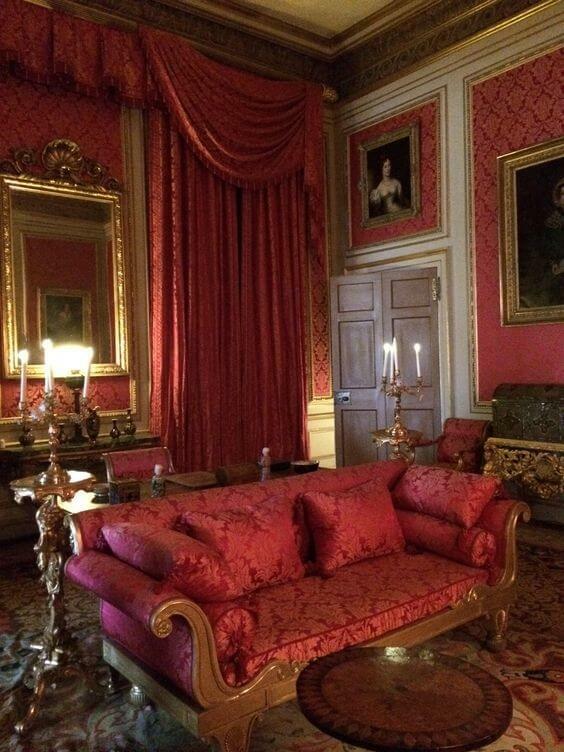 A classic Crimson Red damask used in abundance in this grand room, is the perfect shade to express affluence, elegance and importance. 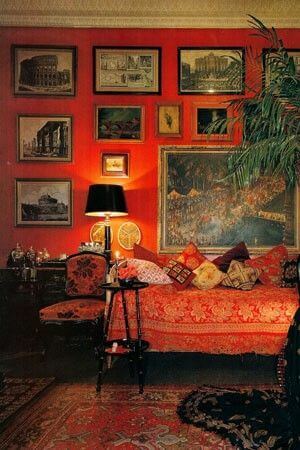 Unashamedly brazen lipstick Red and bohemian style furnishings, give this Parisian room a sense of wicked fun, delicious! Gloss Red paint is used to great effect here on the door and mirror. By cleverly picking out the Red in the artwork, it has had the effect of highlighting the lovely image rather than detracting from it. WARNING: Red is not for the faint of heart, this colour is rich, luscious and daring, it will create maximum impact…oh yes! Baked Cherry by Little Greene – a rich sumptuous red. 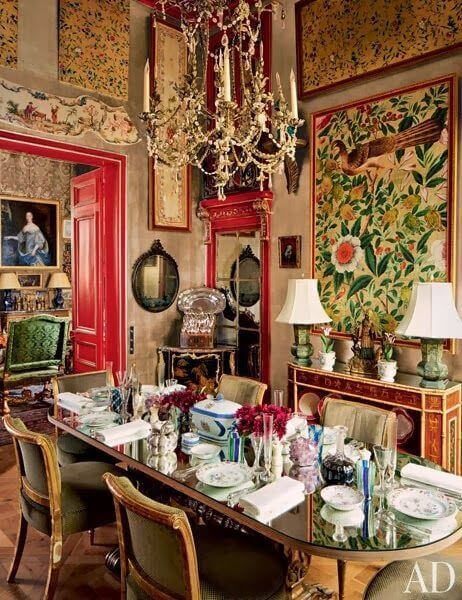 For more Red inspiration check out my Red Room Pinterest Board.